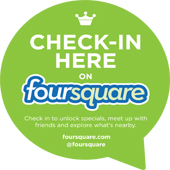 Unlock our special on your 1st check-in ! And unlock our specials ! The mayor of Checkpoint Charly uses 20 % discount !